Iso Abasi etiq enyin ekpeme mi. Ebiet ededi ndude, Abasi do! Iso Abasi etiq enyin ekpeme fi. Ebiet ededi odude, Abasi do! Iso Abasi etiq enyin ekpeme nnyin. Ebiet ededi idude, Abasi do! Greetings and blessings of peace, Love, Faith and Trust in the one mind of God through Christ! When we are moved into a need, we cannot but try our best as The Spirit moves us. But on completion we have the joy and satisfaction that come to us of God. 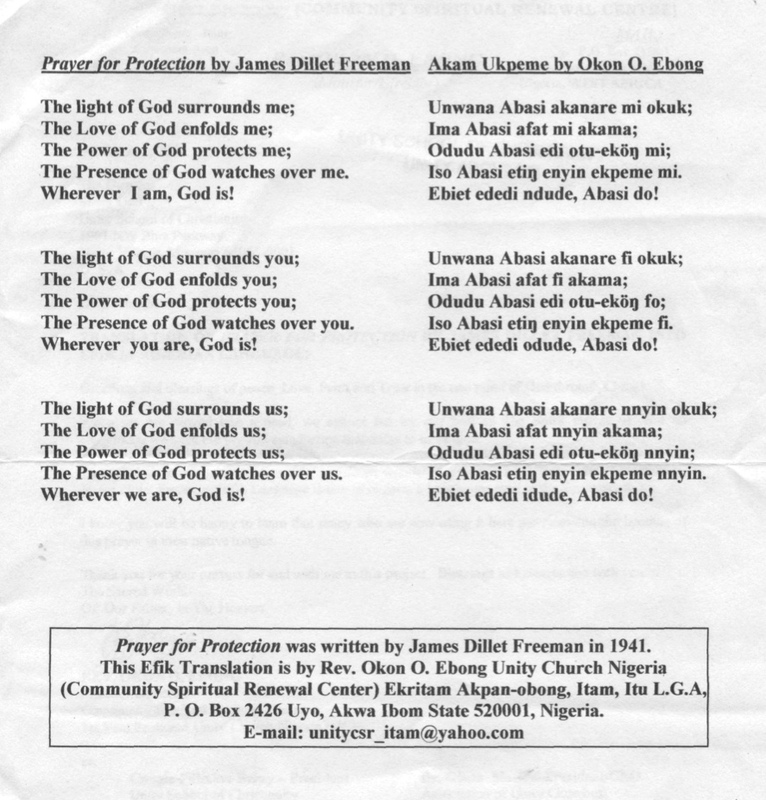 I am glad to forward to you this Efik translated wonderful prayer: — The Prayer for Protection by James Dillet Freeman. (Efik Language is one of Nigeria's Languages used in the South-South.). 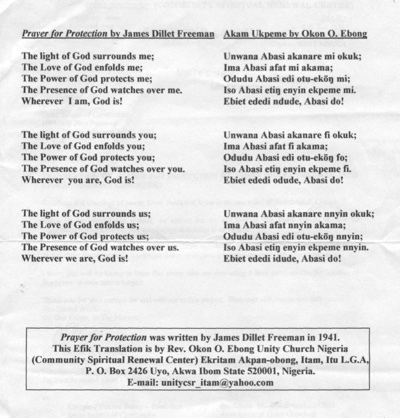 I know you will be happy to learn that many who are now using it here are receiving the benefits of this prayer in their native tongue. Thank you for your prayers for and with me in this project. Blessings as I remain one with you in The Sacred Work. Of: Our Father; In The Heaven. 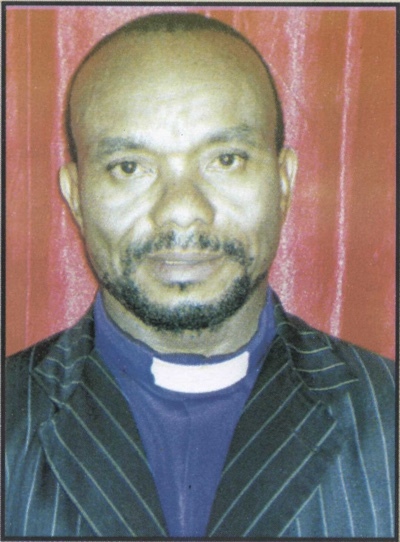 1st Vice President Unity Church Nigeria (UCN).